KUALA LUMPUR: (Nov 4): The revised passenger service charges (PSC) announced by the Malaysian Aviation Commission (Mavcom) may hurt Malaysia Airports Holdings Bhd (MAHB)’s earnings, but will not have an immediate impact on its ratings, says RAM Ratings Services Bhd. “While PSCs are now higher or remain unchanged in nearly all segments, the revised PSC structure may be detrimental to MAHB’s earnings,” RAM said in a statement today. This, it said, is because flights from the main terminal of the Kuala Lumpur International Airport (KLIA) to Asean destinations will attract a much lower charge of RM35 — half of the existing rate of RM71. Asean passengers comprised over a third of international travelers in 2015 at the terminal, making up a large proportion of overall passenger traffic. “Based on MAHB’s 2015 passenger mix, we estimate that the new development could shave off 2%-3% of [MAHB’s] operating profit before depreciation, interest and tax,” said RAM. The rating agency said the PSC development illustrates MAHB’s exposure to regulatory risk that is inherent in its operations. “Based on the existing operating agreement entered into by MAHB and the government of Malaysia in 2009, the government is required to compensate MAHB under the marginal cost of support charges mechanism, if PSCs imposed by the former fall below the benchmark rates,” it said. The benchmark international and domestic PSC rates for KLIA now stand at RM71 and RM10 respectively, but this arrangement may be subject to change in the future, added RAM. According to the agency, a shift towards less predictable and transparent policies or any material changes to the terms of the agreement could have negative credit implications for MAHB. In addition to its stand-alone credit fundamentals, the Group’s ratings incorporate our expectation of government support, given its vital role and strong relationship with the government. Any adverse regulatory developments would also warrant a reassessment of MAHB’s relationship with the latter. RAM said in addition to its stand-alone credit fundamentals, RAM’s ratings incorporate its expectation of government support. “Any adverse regulatory developments would also warrant a reassessment of MAHB’s relationship with [the government]. We understand that MAHB is in close discussion with the government on this matter, and is making every effort to safeguard its interests,” it added. 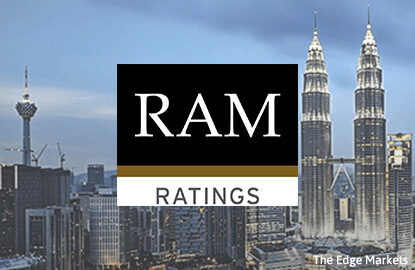 RAM is currently performing an annual rating review of MAHB, targeted? to be completed within the next one to two months.